Selling a home can be daunting; you want to sell quickly and for the best price, but it can be difficult to know how to do so. One surefire way to make your property desirable is to think like a buyer – what do they want and need in a home? What kinds of perks and features will make them flock to your listing? As we shift toward a buyer’s market, it’s a smart idea to determine what house hunters are looking for in a home today, and appeal to those hopes and expectations. Just a few adjustments could mean the difference between multiple offers and multiple price-drops. An open concept layout reigns supreme when buyers consider the floorplan of a home. 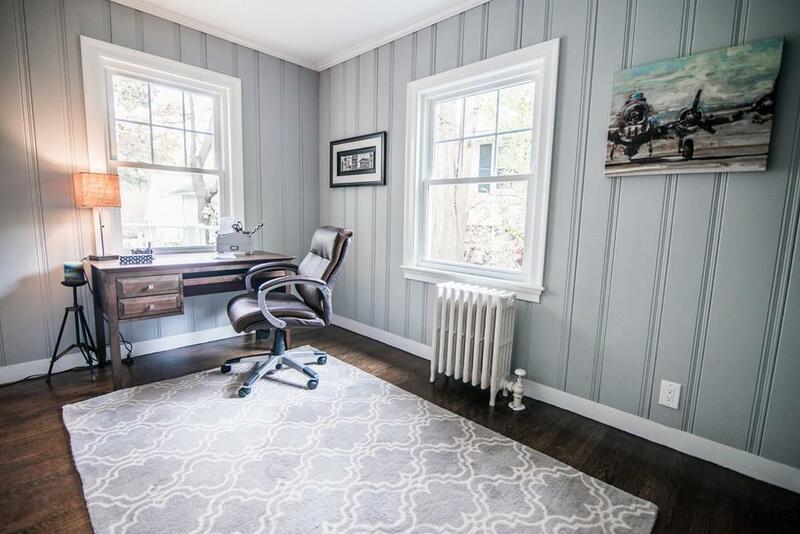 For example, in our new listing at 45 Lynde Avenue in Melrose, the home has been renovated to open up those closed-off spaces to create a main floor that flows. Since formal dining rooms are seldom used, a dining room open to the kitchen is highly preferred, with easy access to a living space where guests and family can watch TV, play games, and relax. Having all of the bedrooms on one level is ideal for buyers with young children. Buyers prefer to spend as little time as possible getting to where they want to be, so location is paramount. The most desirable locations for buyers are those near public transit with easy access to Boston, access to freeways, and some walkable shops and restaurants. Neighborhood settings with quiet sidewalk lined streets continue to be most popular in Boston’s suburbs. 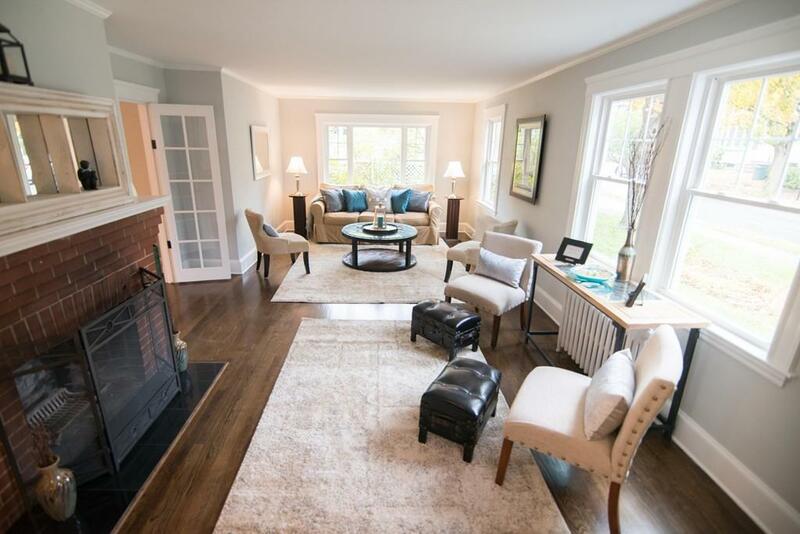 A location like that of our Lynde Avenue home is perfect to buyers: a quiet, tree-lined street that’s just a walk away from bus stops, the commuter rail and the subway. Working from home has grown increasingly popular in recent years. Having a dedicated office space is a must for many buyers. Ideally this is not a bedroom but a separate space on the main level with a door that can keep it closed off from the action in the rest of the home. This allows for maximum productivity while still enjoying the convenience of working from home. Buying a home involves a large outlay of cash, such as the down payment, closing costs, and moving expenses, so a move-in ready home is highly desired. 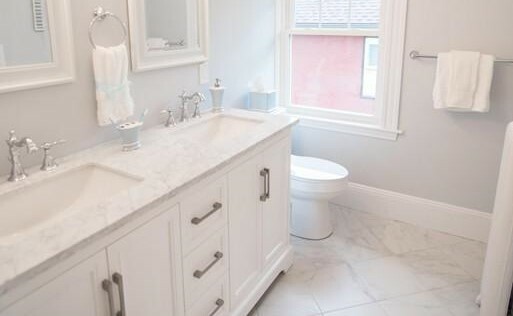 Renovating kitchens, bathrooms, and other cosmetic updates are costly, so buyers love to see these improvements already completed. As seen below at our Lynde Avenue listing, the kitchen has gone from outdated to updated with some key changes, like sleek cabinets and modern appliances. Other pricey improvements that buyers hope to see are newer roofs, replacement windows, and well-maintained heating systems. Homes with energy efficient improvements are highly desired. Low-e windows, gas heat, and added insulation are great ways to increase the appeal of a home. Storage space is always at a premium. Buyers like to see a variety of storage options, like at our 45 Lynde Avenue listing, which boasts walk-in closets, a detached garage and a double vanity in the master. Things like basement or attic storage, a garage, lots of closet space throughout the home, and sheds for tools and patio furniture are highly prized. Life is busy, so buyers appreciate homes that offer a low maintenance lifestyle. This includes minimal landscaping, vinyl siding and windows. Brick or stone patios are also a great way to add value while keeping maintenance to a minimum. Thinking of selling your home? Get in touch to learn all the ways we can help!